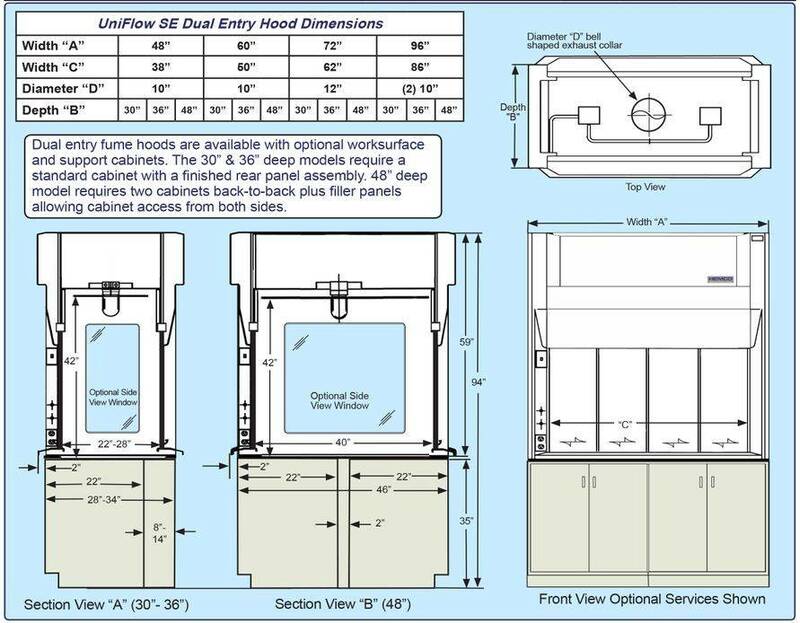 UniFlow SE Dual Entry Air Bypass Hoods are ideal for demonstration or applications where observation and access is required from both sides of the fume hood. 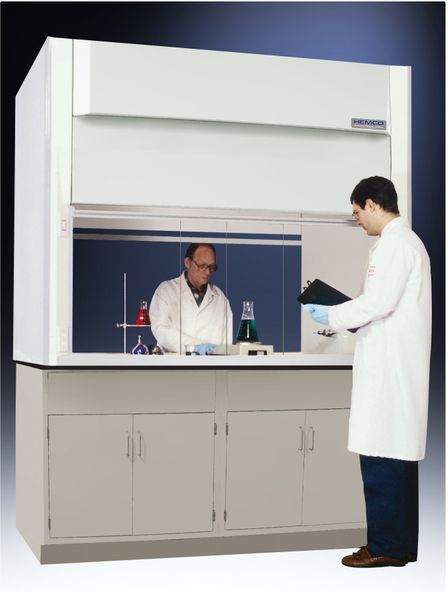 Dual Entry Hoods are available in 48”, 60”, 72”, & 96” widths and in 30”, 36” & 48” depths. They can be positioned on an island or in peninsular locations. 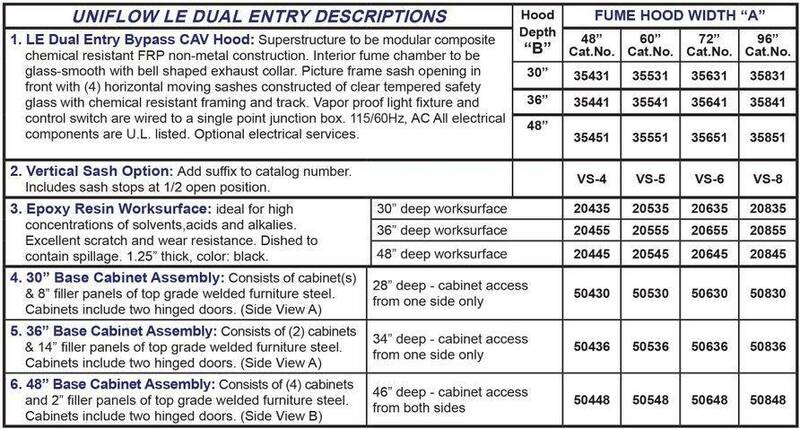 Dual Entry Hoods can also be located on a common wall of two rooms with accessibility from either room. UniFlow Superstructure exclusive unitized dual wall construction for superior chemical resistance (NO RUST), strength, and durability. Meets NFPA-45 classification with flame spread of less than 25 per ASTM E-84. with 28” sash opening height for ease of access and viewing tall apparatus setup. Sash is 3/16 thick tempered safety glass, with chemical resistant non-metallic PVC framing, track, and aerodynamic sash lift (horizontal sash). Sash handle for efficient air flow and ease of movement. Standard horizontal sash, optional vertical sash, specify sash for each side. Angled Picture Frame Opening the aerodynamic face opening with air foil provides uniform air flow into the fume chamber and thru the bell shaped exhaust collar. 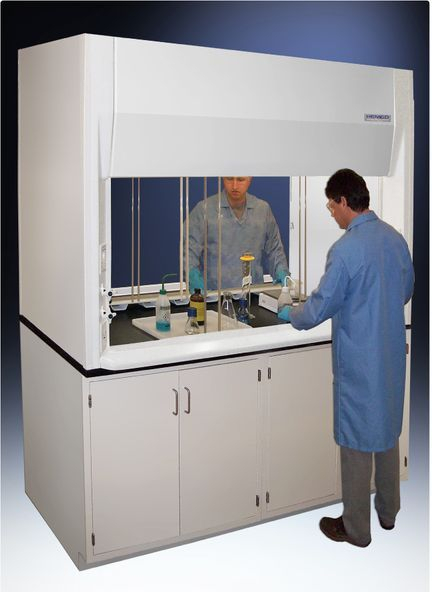 UniFlow LE Dual Entry Air Bypass Hoods are ideal for demonstrations or applications where observation and access is required from both sides of the fume hood. 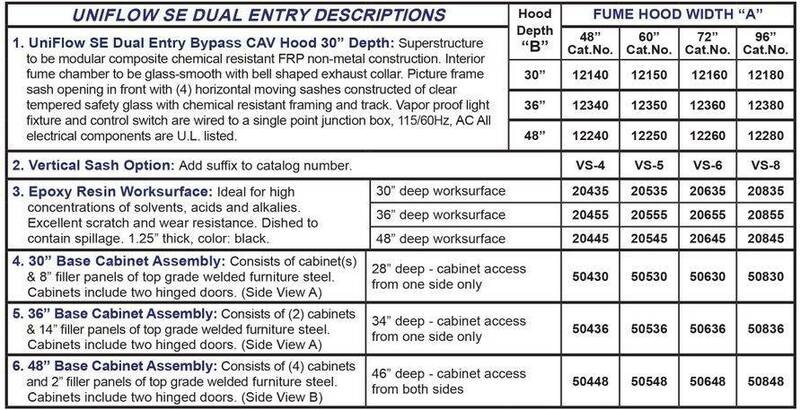 Dual Entry Hoods are available in 48”, 60”, 72”, & 96” widths and in 30”, 36” & 48” depths. They can be positioned on an island or in peninsular locations. 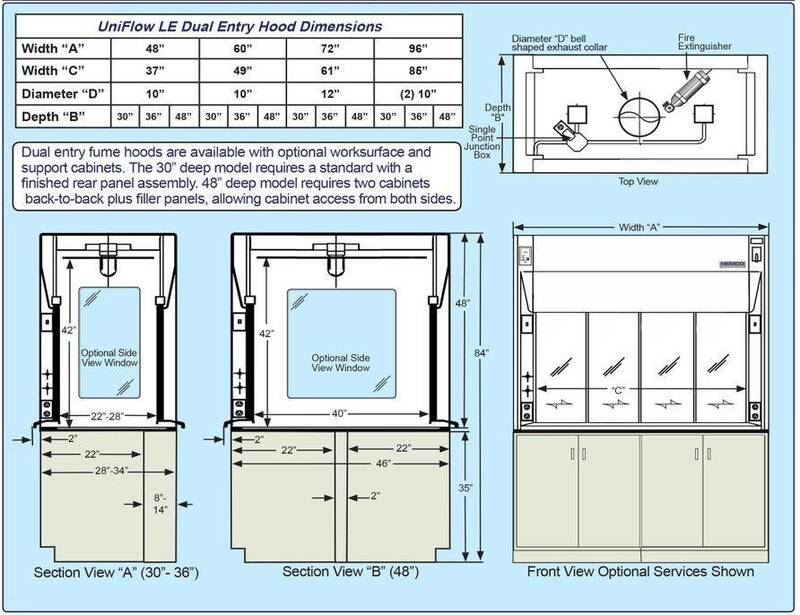 Dual Entry Hoods can be also located on a common wall of two rooms with accessibility from either room. Full 28” Viewing Height Sash with 28” sash opening height for ease of access and viewing tall apparatus setup. Sash is 3/16 thick tempered safety glass, with chemical resistant non-metallic PVC framing, track, and aerodynamic sash lift (horizontal sash). Sash handle for efficient air flow and ease of movement. Standard horizontal sash, optional vertical sash, specify sash for each side. Fume Chamber with coved corners.Surface is white, glass smooth for ease of cleaning and excellent light reflectivity.